Most people purchase a garden shed to use as somewhere to store their gardening equipment, bikes and a collection of dusty outdoor toys. 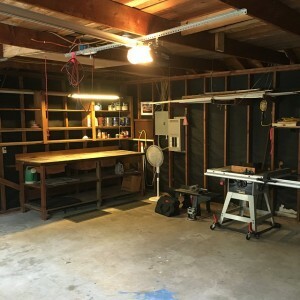 However, in recent years, many people are seeing the potential that these structures have and are converting them so that they provide more than just storage space. If you are fortunate enough to avoid rush hour traffic to work from home, then creating a space that is peaceful, and away from any distractions might be suited to you. Working from home comes with many benefits but a lot of people struggle to stay focused throughout the day due to distractions from the tv, household chores, or just lack of motivation due to not having a practical work environment. 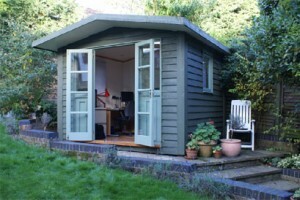 To save being hunched over a laptop or PC in your living room or kitchen, converting your shed to provide you with a quiet space where you will be undisturbed could be the answer. Adding lighting, charging points and a desk, along with your own decor preferences could provide you with the ideal space to work from home. Looking to keep the kids out of your hair for a few hours? 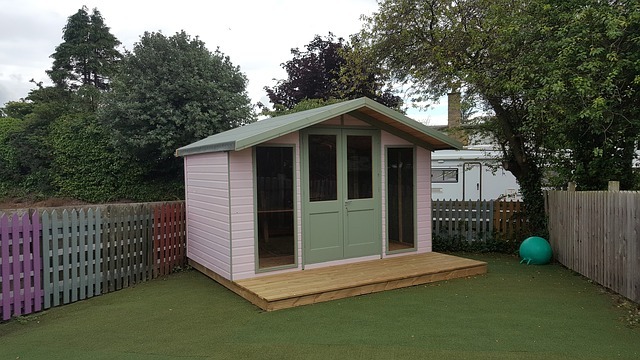 Transforming your shed into a play haven for your children is the perfect way to keep them out of the way, whilst also staying safe due to only being at the bottom of the garden. This gives parents some the opportunity to tackle some day to day tasks, or even sit down for a couple of hours of quiet time. Plastic toys and storage boxes tend to take over the home of families with young children, and you may find yourself spending the majority of your time clearing up after them. However, by converting your shed into a play space for them helps to keep the clutter out of the home. A playroom doesn’t just have to be for the kids, just add a dart board or table football and you have entertainment for adults or teenagers as well! Whether you like to keep dogs, rabbits, guinea pigs or even chickens, a shed can convert into the perfect space to keep your pets. With room to move around freely, a shed will protect them from the elements and also from the threat of neighbourhood predators. If you are creating a home for your pet in your shed, it’s important to take climate control into consideration so that they are safe and comfortable during the warmer or cooler times of the year. 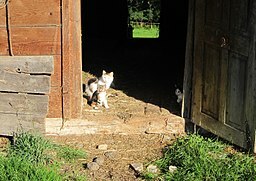 You should also consider adding a doggie door so that your pet can come and go as they please. If your hobbies involve making a bit of mess, the idea of getting everything out and then packing away again afterwards can be enough to put you off in the house. Using your shed as a workshop means that you will have a dedicated space whereany accoutrements can be stored without intruding into your wider living space. Here at Sunningdale Timber we design and manufacture a whole range of high-quality structures that can help you to make the most of your garden space. Whatever use you have in mind for your shed in Leicester or the surrounding area, we can suggest the perfect thing. So call us today on 0116 231 2876 or fill in our online contact form and we will get back to you as soon as possible. This entry was posted in Latest News and tagged Sunningdale Timber Hints and Tips. Bookmark the permalink.